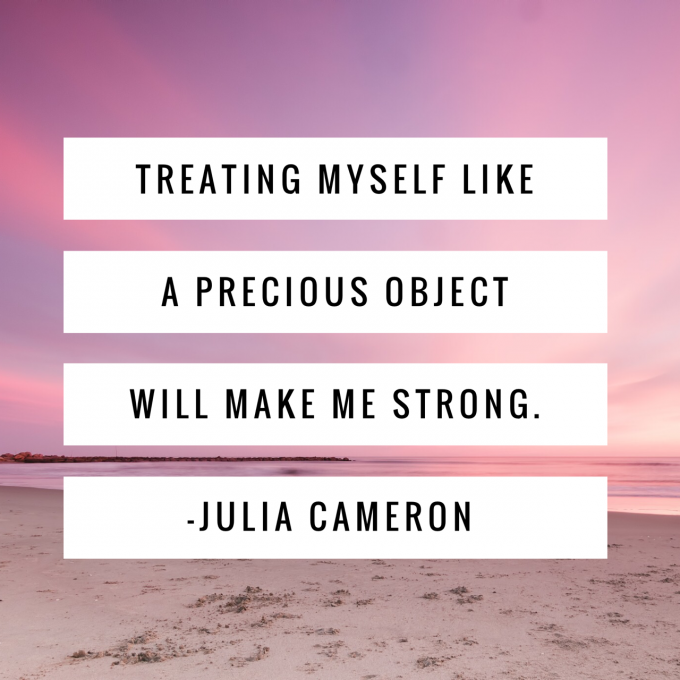 Treating Yourself Like A Precious Object Will Make You Strong ! Julia Cameron- the angel of creative people worldwide for decades- first impressed upon me the vital importance of treating myself like a precious object. You know if you treat yourself like a precious object. It’s a way of life that isn’t narcissistic, it’s truly giving. In fact, you can’t be truly giving if you aren’t filled with self-care and preciousness yourself. I mean, you can give in bits and spurts, but it will drain you so much because, well, without being precious and loving to yourself, all that giving you do has a limit. Give- Get Exhausted & Depleted- Nothing to Give- Rebuild- Give- Get Exhausted & Depleted… and on and on. Sound familiar? It did to me! That’s a rollercoaster- up and down, full then empty- and that’s not the trajectory of any life I know you want to live! 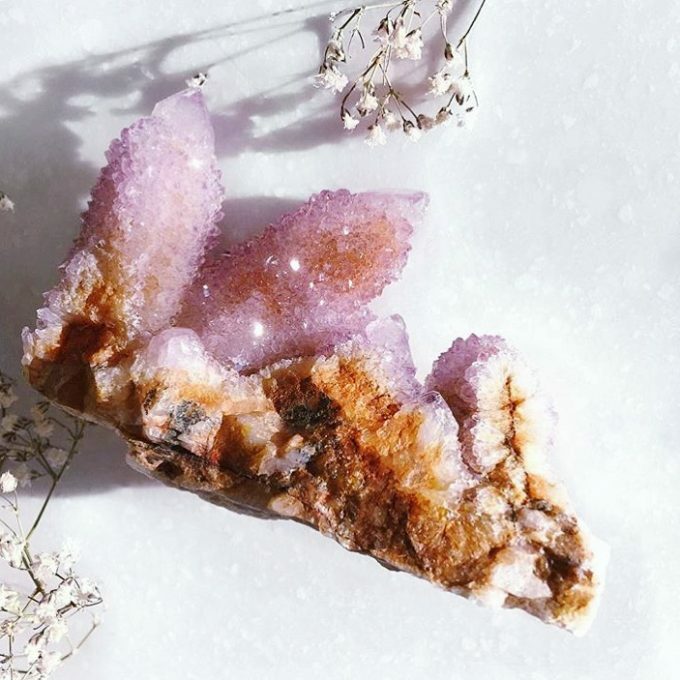 Do you treat yourself like a precious object? If not… today’s the day to start! How many ways do you show yourself how precious you are? Keeping your commitments to yourself in wellness. This one is a very big deal. One note: Rather than diving into an extreme lifestyle shift that is destined to be difficult if not impossible to maintain, how can you make small shifts for yourself to thrive more? Longer walks maybe start one week, then perhaps more fruit and veggies start a few weeks later, some classes… Whatever draws you in is the right thing. But the biggest and most important part of all of this is that you can stay committed and not let the day roll over your plans that make you feel great! Keeping your commitments to fun. Yes, don’t cancel or put off fun. In your valuable life, fun is super-valuable. It also helps you to soar in so many ways! Keeping your commitments to your artistry, whatever form it takes. Your hobbies, your skills, your passions… from motorcycles to fine arts: all are so valuable. Keeping your commitments to growth. Any step you take to care more deeply for yourself is a commitment to growth, but a willingness to be introspective and keep clearing your heart, soul and mind of the stuff that’s holding you back breaks the blocks down that keep you feeling small. What makes you feel like you are soaring? Why aren’t you doing it or doing enough if it? But… who will object to your wellbeing? I mean, doesn’t everyone in your life want you to be full and glowing and well and happy? And if they don’t… well… do this precious self-love anyway and you’ll see if they’re meant to stay or meant to go. I’ve been consistently surprised by how many times an increase in my self-love sort of sent people away (people who really weren’t meant to be in my life in the first place!) and how many others were inspired to do the same and love themselves much more. Don’t let an any noise stop you from this precious self-love. Once you get into it, you’ll value it more than anything else! And once you start doing it, you’ll find that your whole life reflects this new value. Other people will treat you as you treat you. You’ll see the reflection of your precious self everywhere. And, you’ll never want to stop with the self-loving priorities… you’ll want to expand them as your life expands! Have so much fun with this. It’s easy, it feels great and it’s something you can start right now! 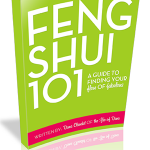 Previous post: Simple Feng Shui To Tap Into The Magic-Manifesting Power We All Have!